The City of New Bedford received $382,068 for 2017 to support at-risk youth through the Senator Charles E. Shannon Jr. Community Safety Initiative, which targets gang violence in the state. 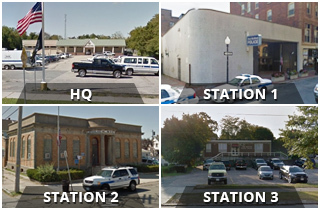 Governor Charlie Baker and Secretary of Public Safety and Security Dan Bennett announced the release Tuesday, Jan. 10 of $5.7 million in competitive grant funds to 15 communities, including New Bedford, and 11 local research partners across the state, including New Bedford, to bolster their efforts combating gang violence. The announcement was made at the Statehouse. The grants provide funds to comm unities that demonstrate high levels of youth violence and gang problems, a comprehensive plan to work with multi-disciplinary partners and a commitment to coordinated prevention and intervention strategies. Funded strategies include social intervention and opportunity provision programs, as well as gang task force personnel costs and overtime. In the photo from left: Lt. Amos Melo, New Bedford Police Department; State Rep. Antonio F.D. Cabral; Gov. 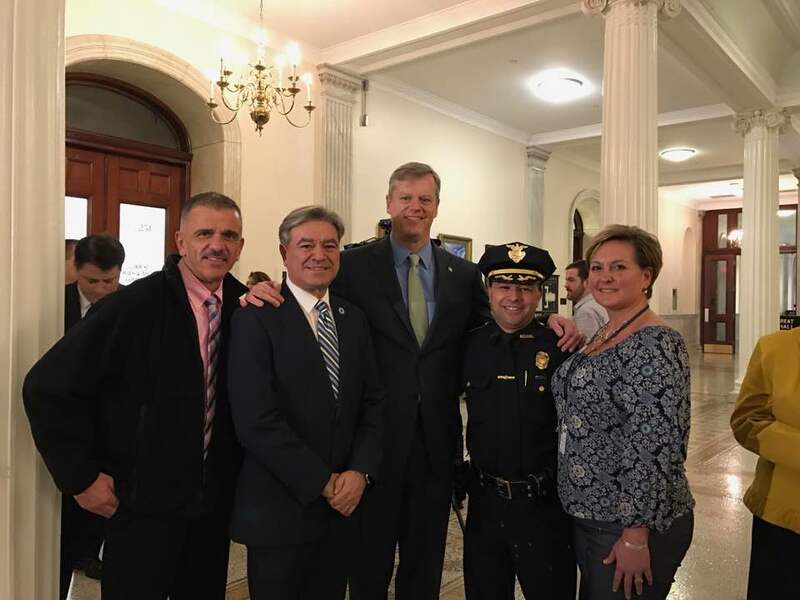 Charlie Baker; Chief Joseph Cordeiro, New Bedford Police Department; and Kelley Cabral-Mosher, LICSW, program director, H.O.P.E. Collaborative/Safe and Successful Youth Initiative. The photo was taken Tuesday, Jan. 10 at the Statehouse at the announcement of the Shannon grants.